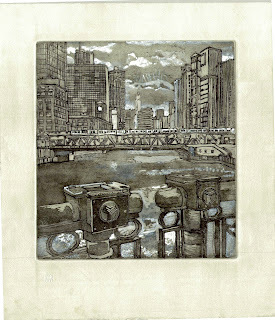 fumes of coal and coke. 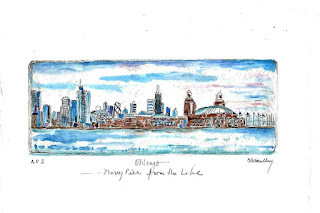 This skyline, the Sierras of the lake. 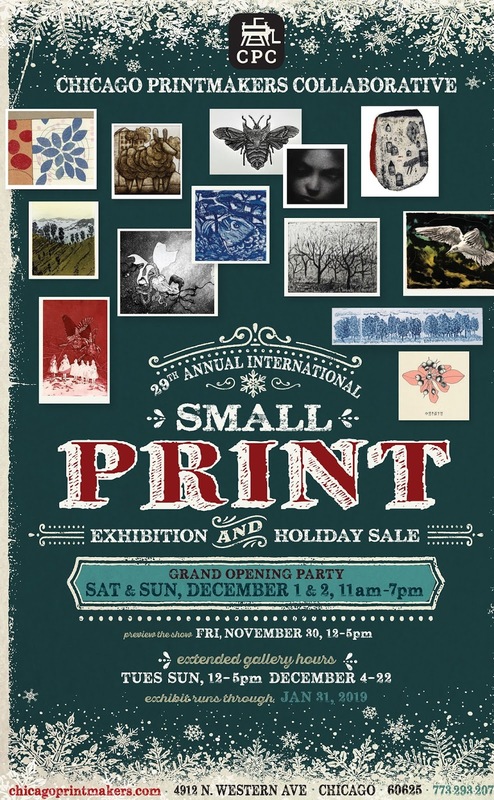 as a part of the Art of Local Artists exhibit. 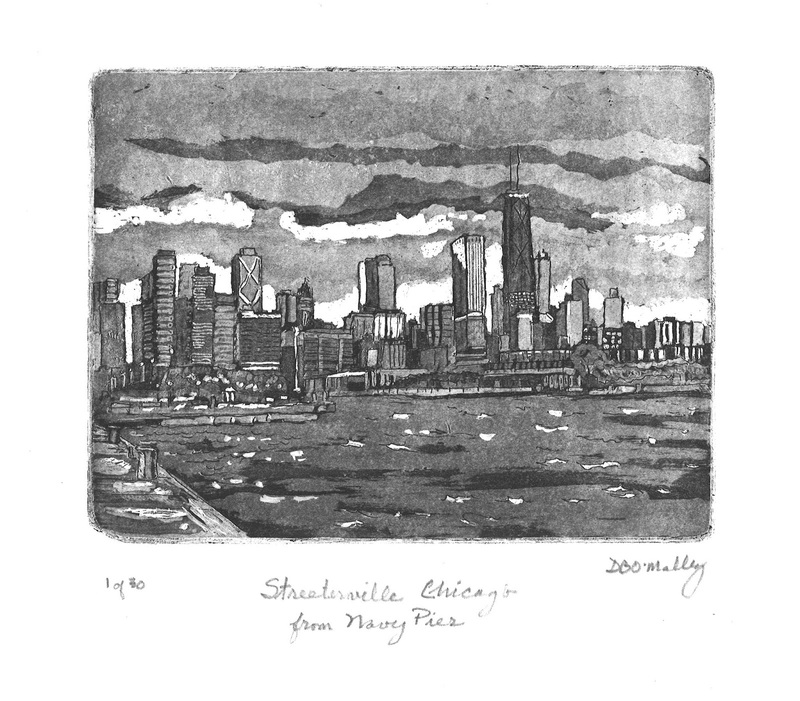 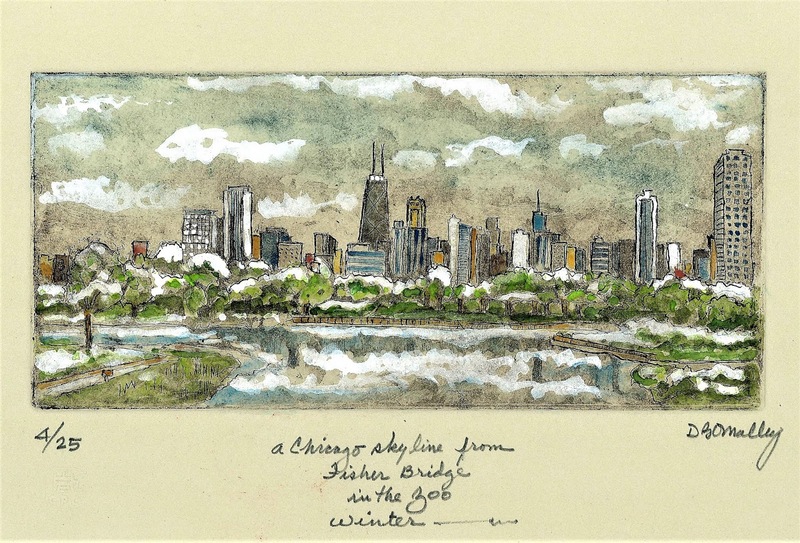 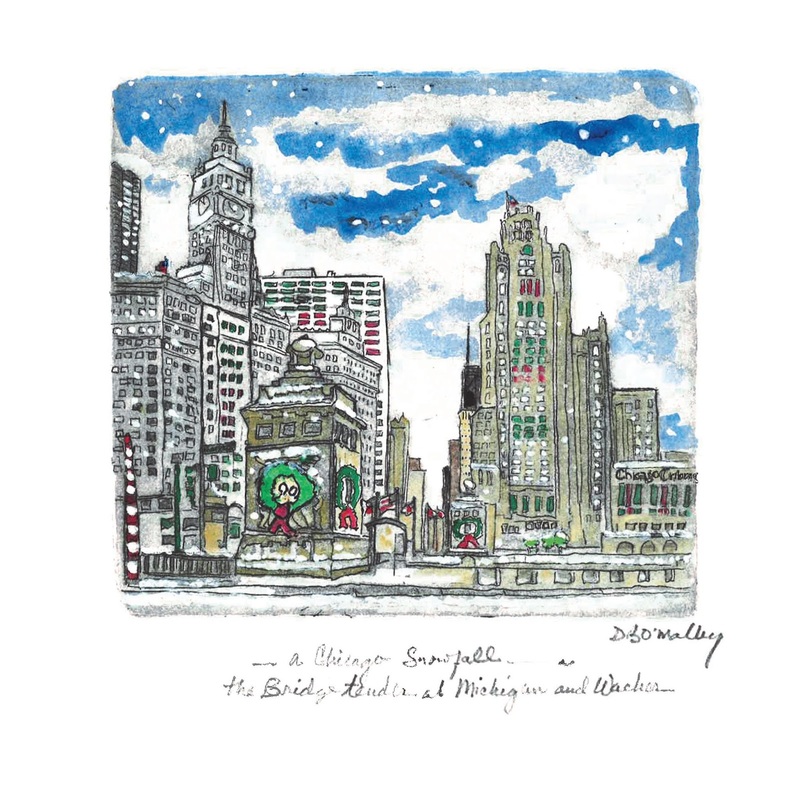 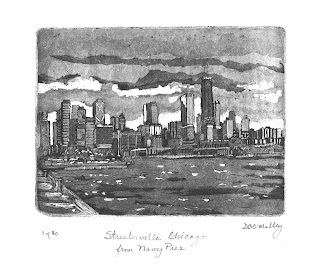 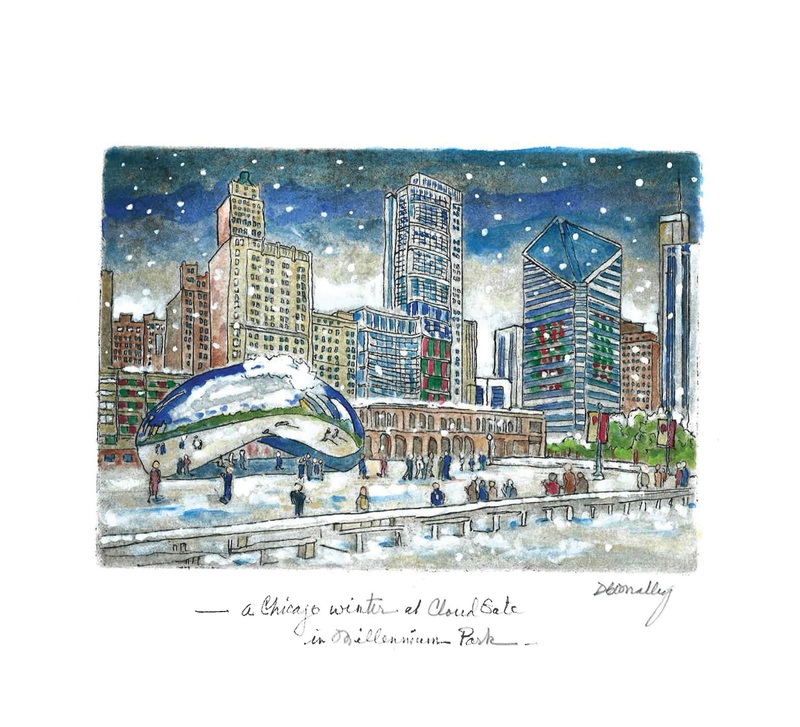 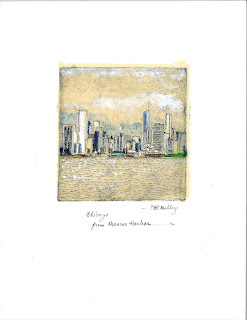 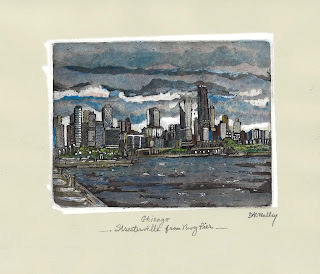 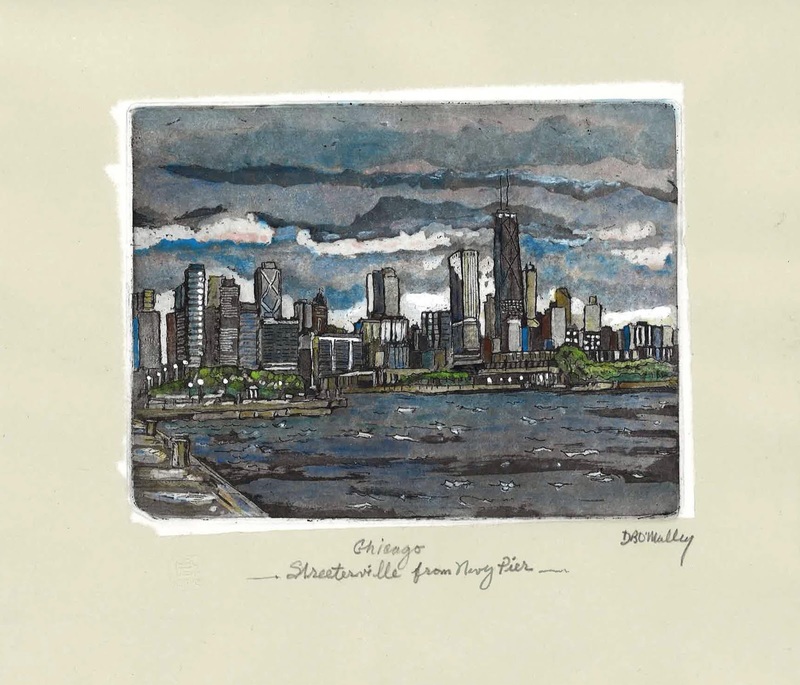 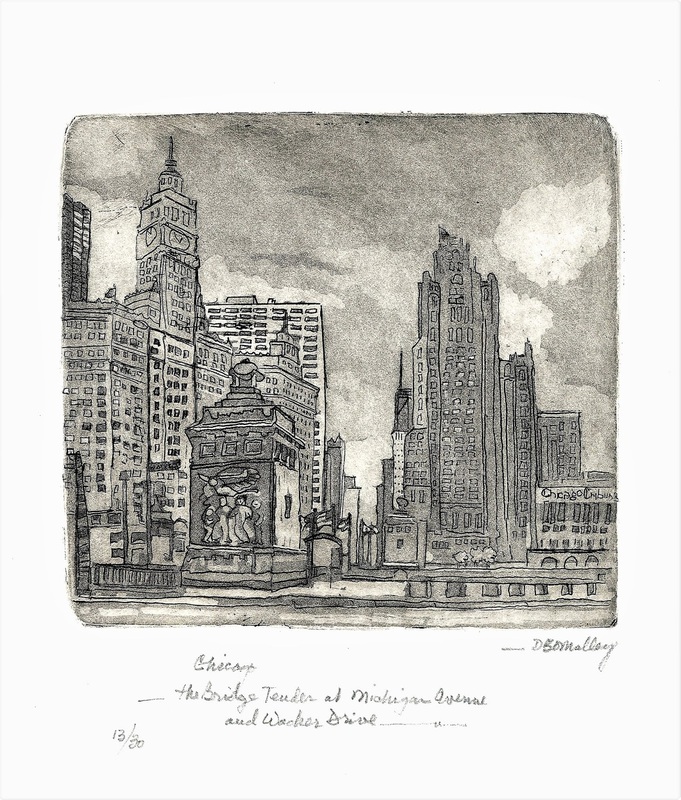 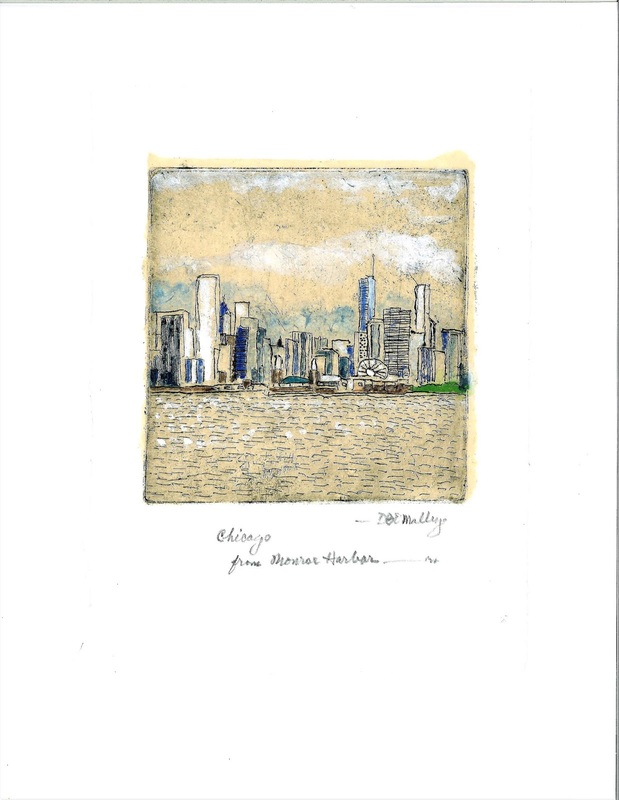 My newest etchings include three variations of "Streeterville Chicago from Navy Pier"
and two views of Chicago from the lake at Monroe Harbor. 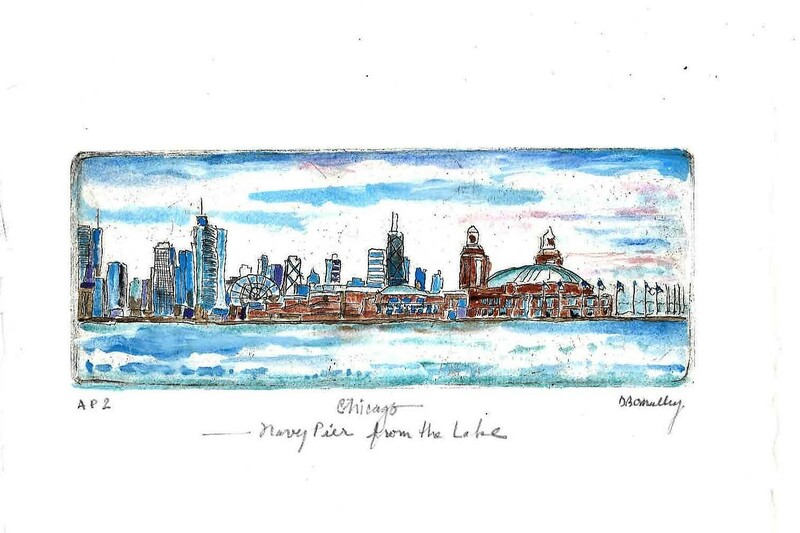 Etchings of the Chicago Skyline from Monroe Harbor with a view of Navy Pier. 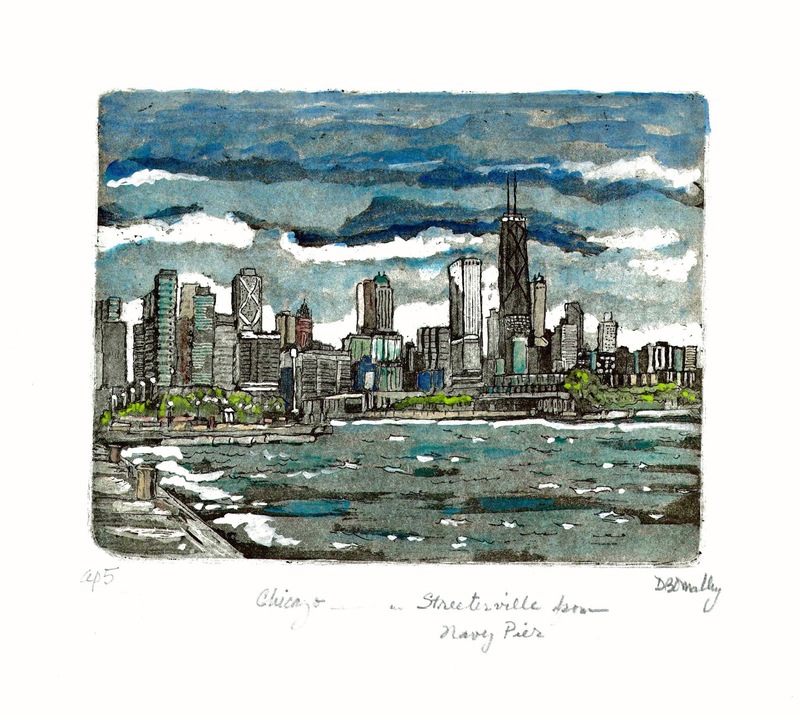 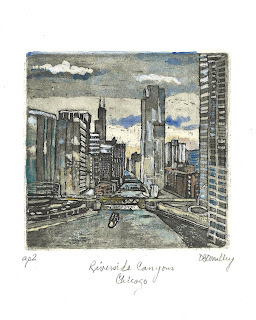 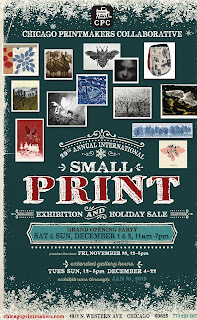 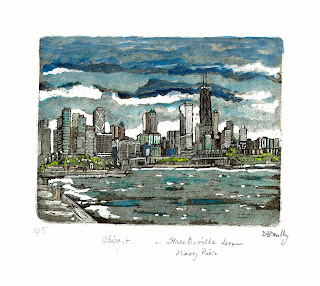 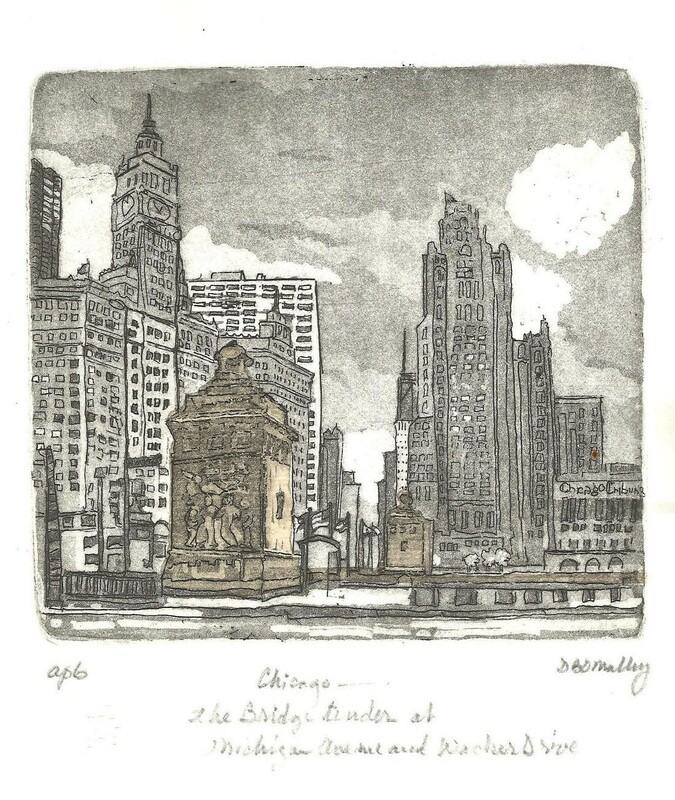 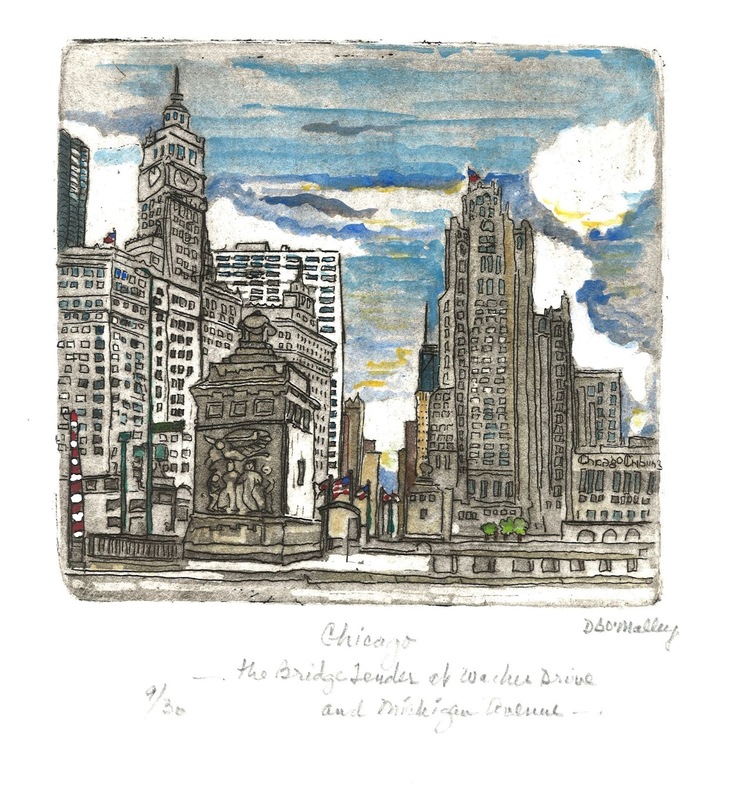 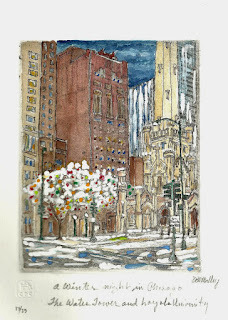 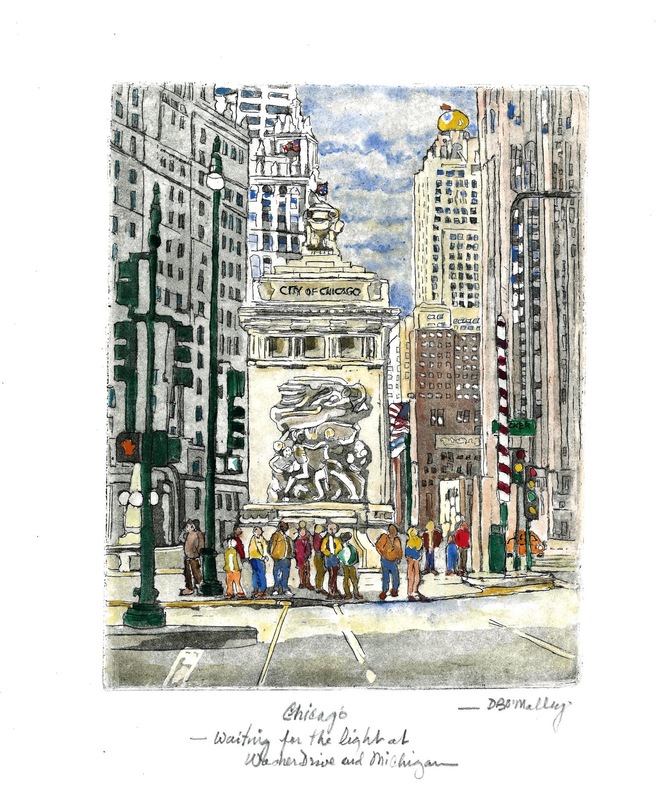 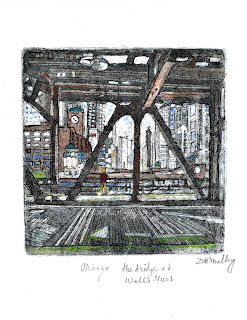 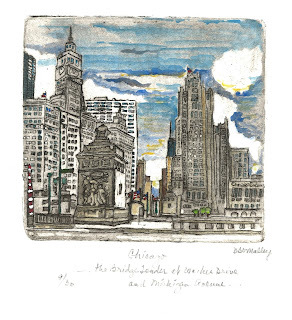 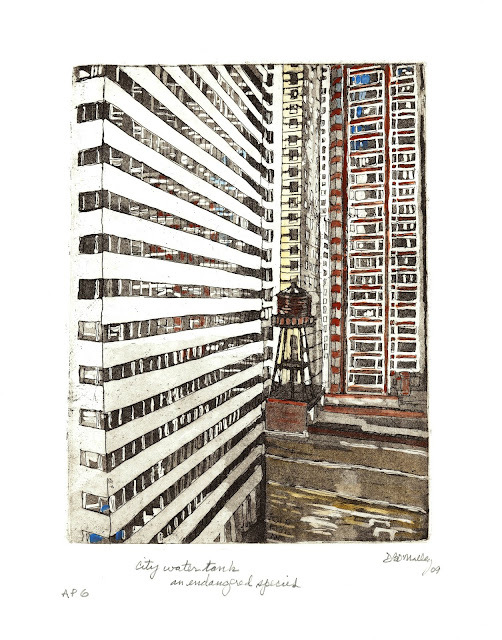 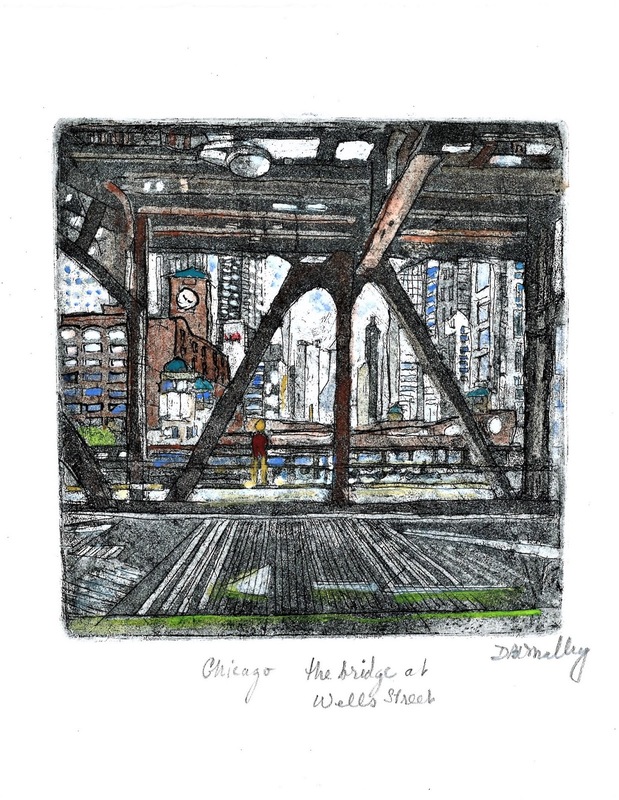 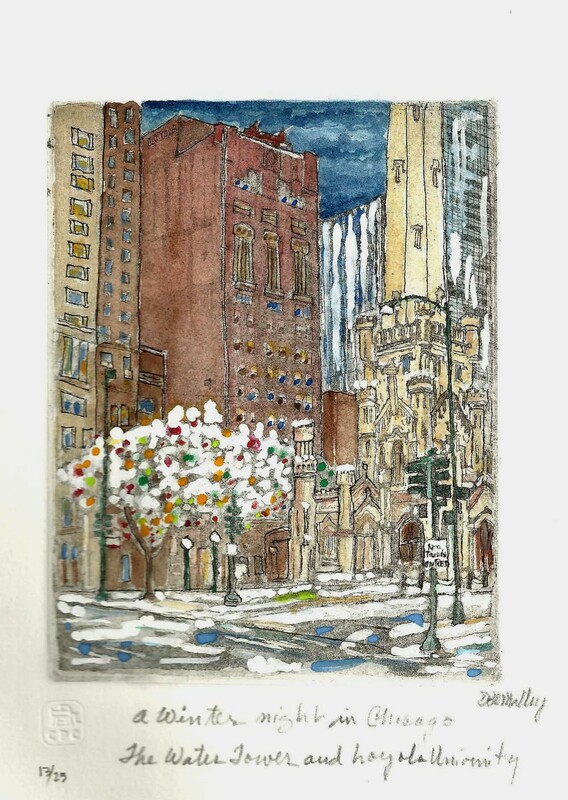 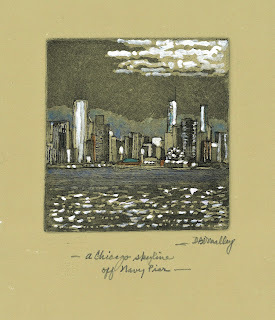 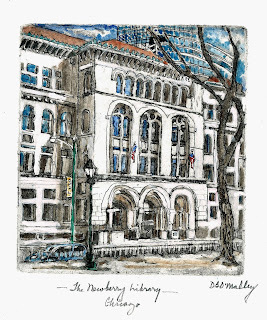 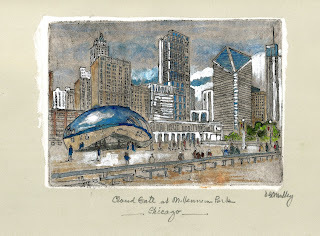 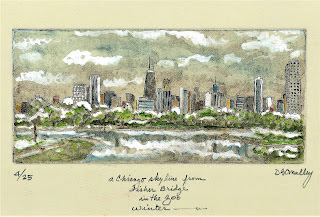 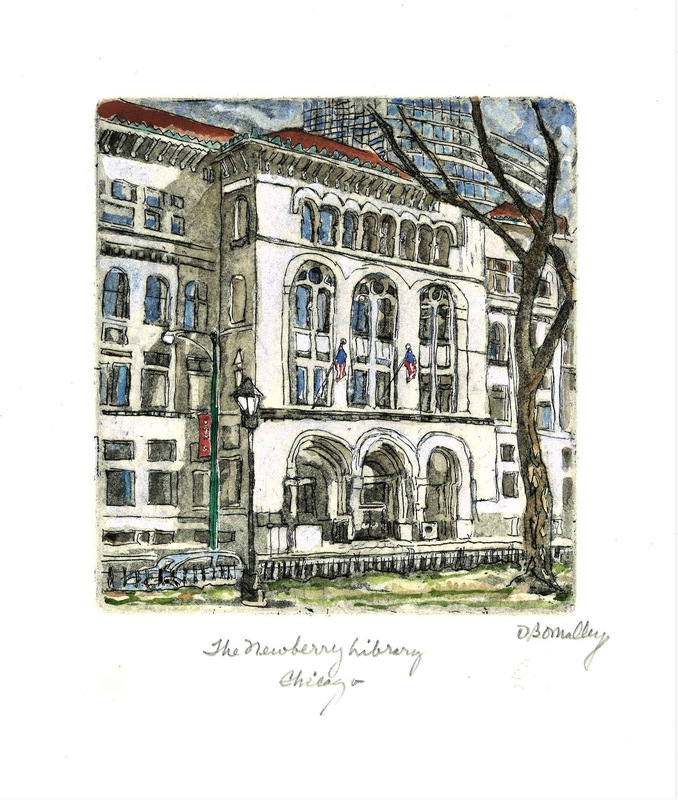 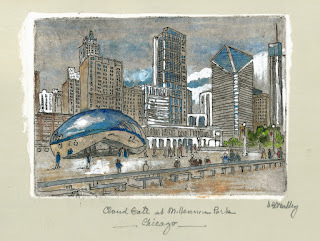 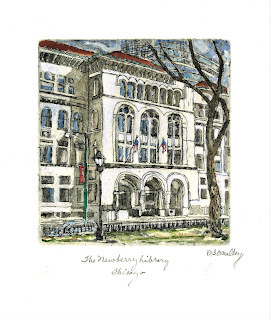 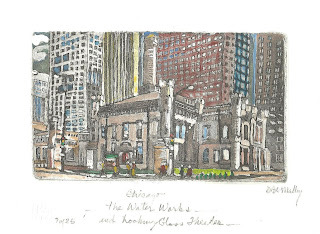 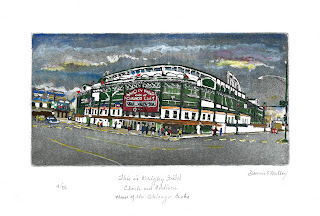 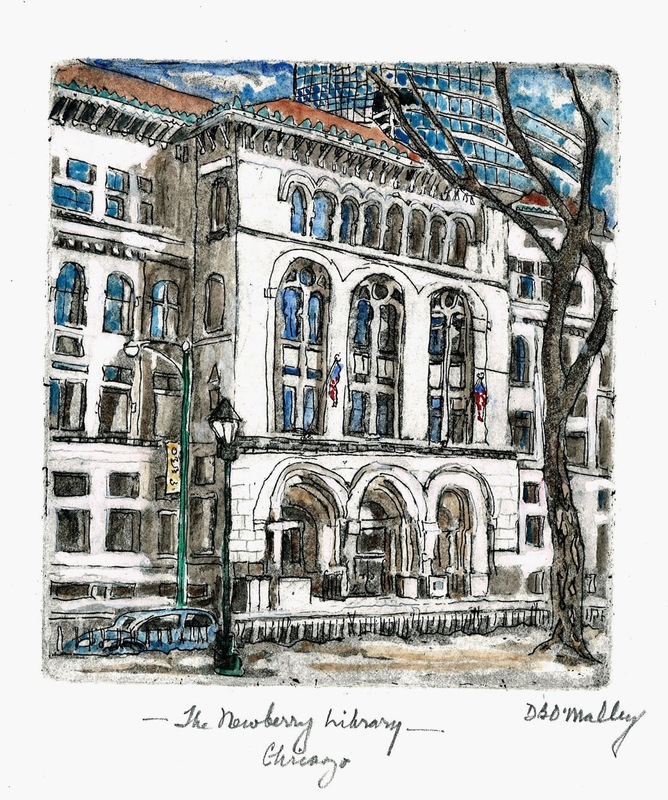 I will be demonstrating Etching Printmaking and showing my Chicago images. 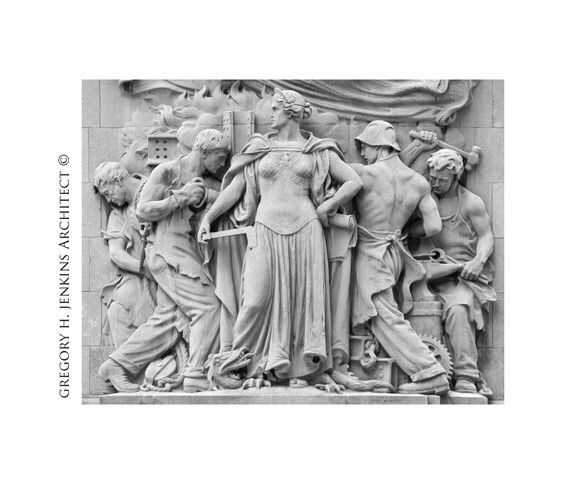 The Chicago Architecture Center’s Open House Chicago is a free public festival on October 13th and 14th that offers behind-the-scenes access to over 250 buildings across Chicago. 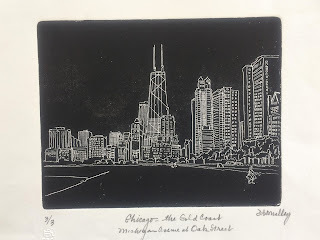 These are a few prints of iconic Chicago locations from my collection. 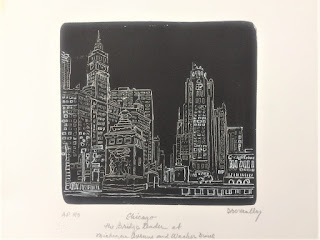 Sawbridge Studios, 1015 Tower Court in Hubbard Woods, will host the First Friday "ART ATTACK" 5 p.m. until 8 p.m. and feature my prints of Chicago. Take some time to browse the American hand crafted home furnishing that are the hallmark of Sawbridge Studios. 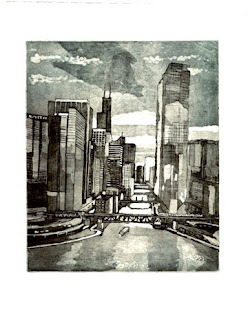 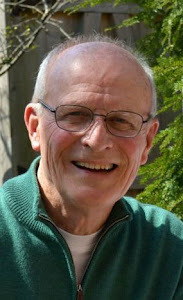 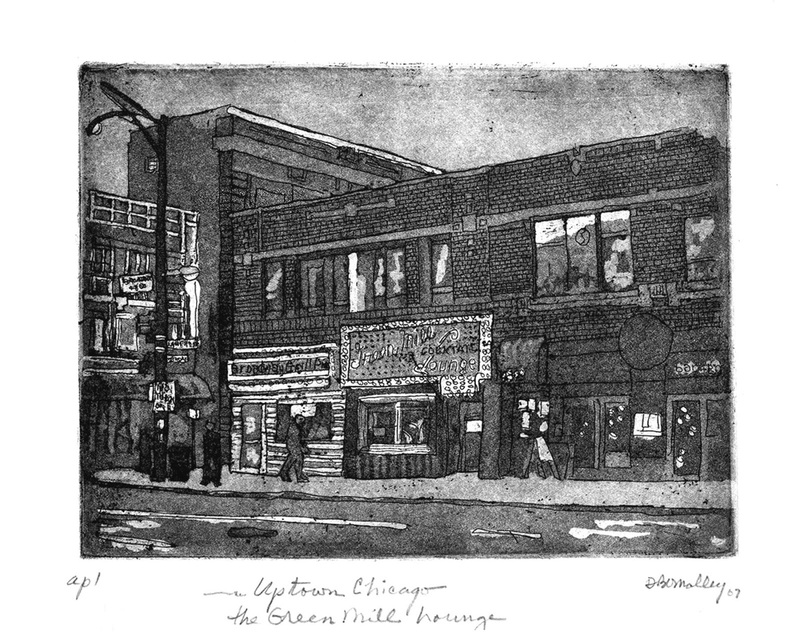 I will display and discuss the stages to complete a finished etching and also show new relief prints of Chicago. 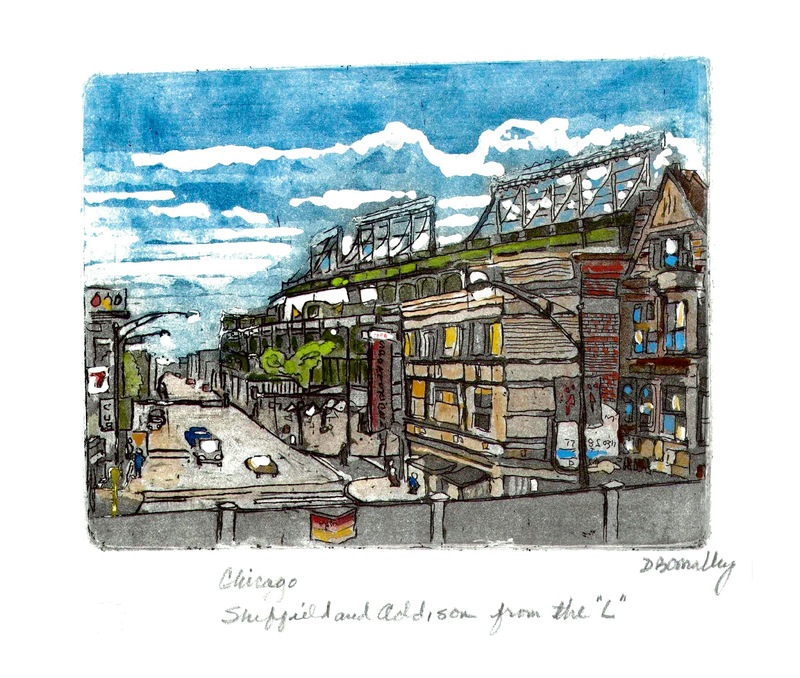 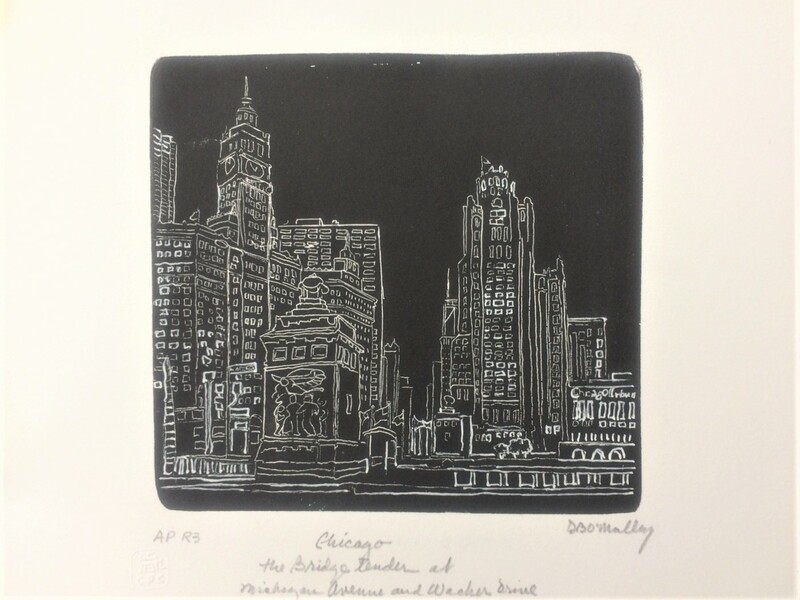 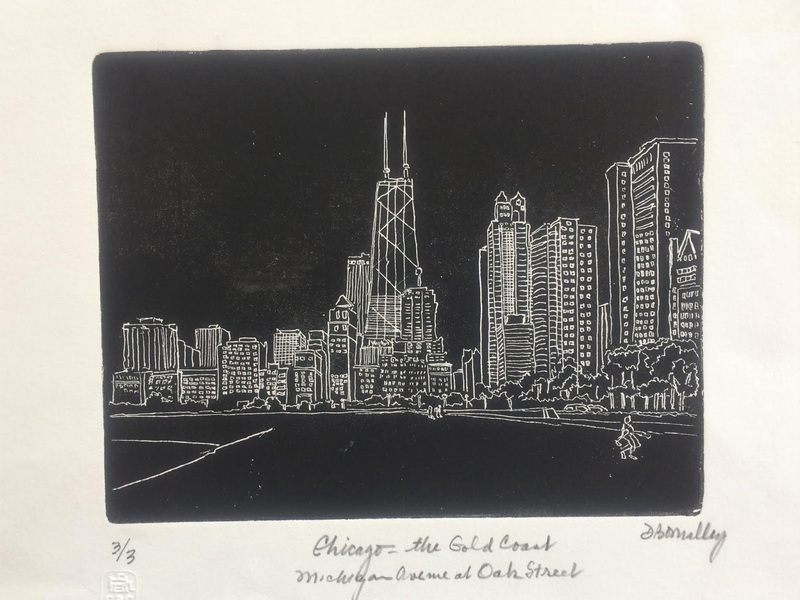 Come see the portfolio of relief prints of Chicago including these two prints on cream paper. 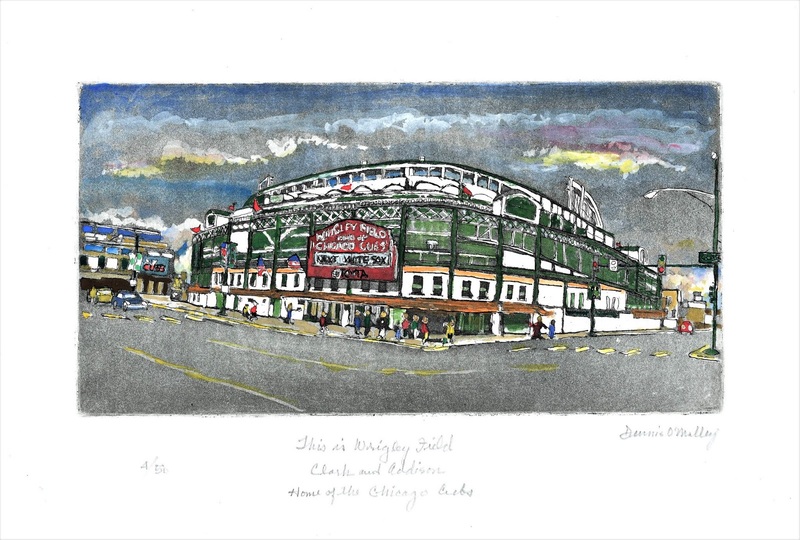 You may have been to 35th and Shields to see the White Sox play baseball but have you visited the nearby Bridgeport Art Center? 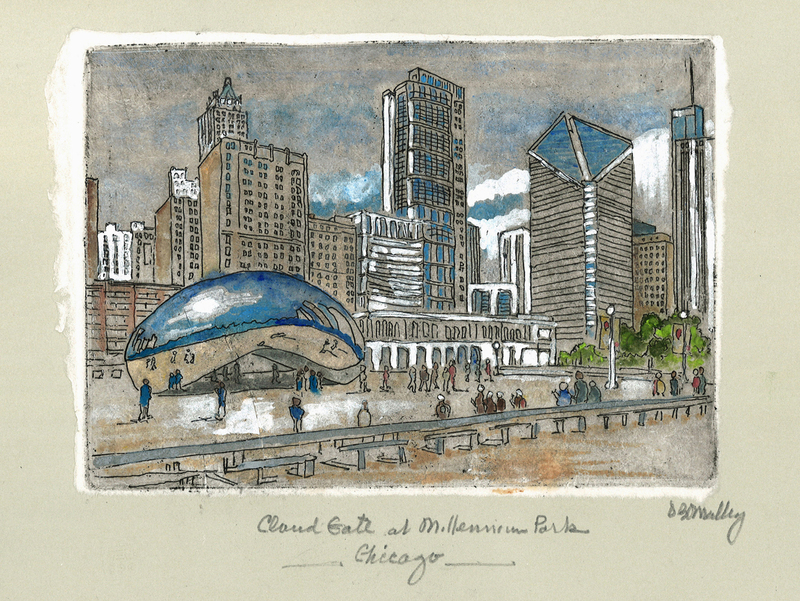 An exhibition highlighting stark contrasts in the urban landscape and the culturally diverse human experience of Chicago. 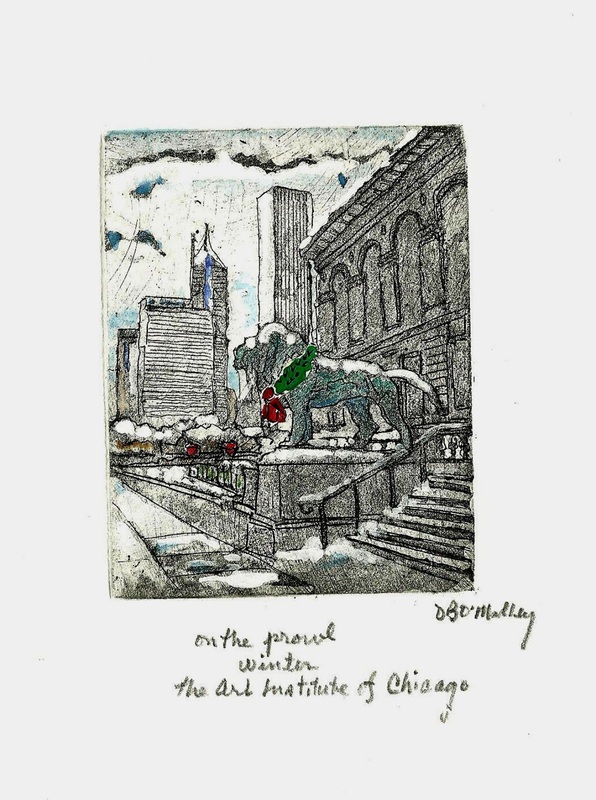 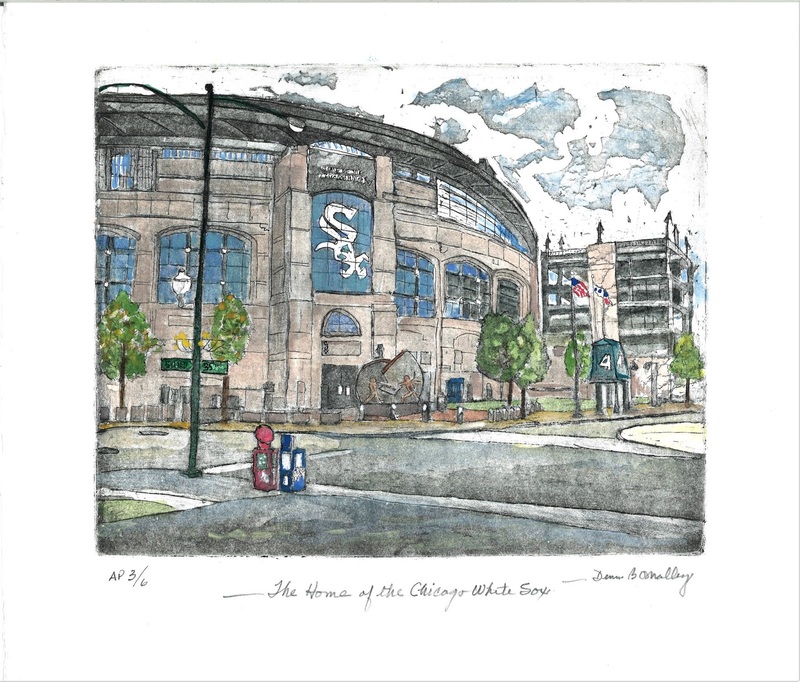 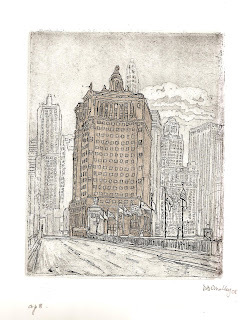 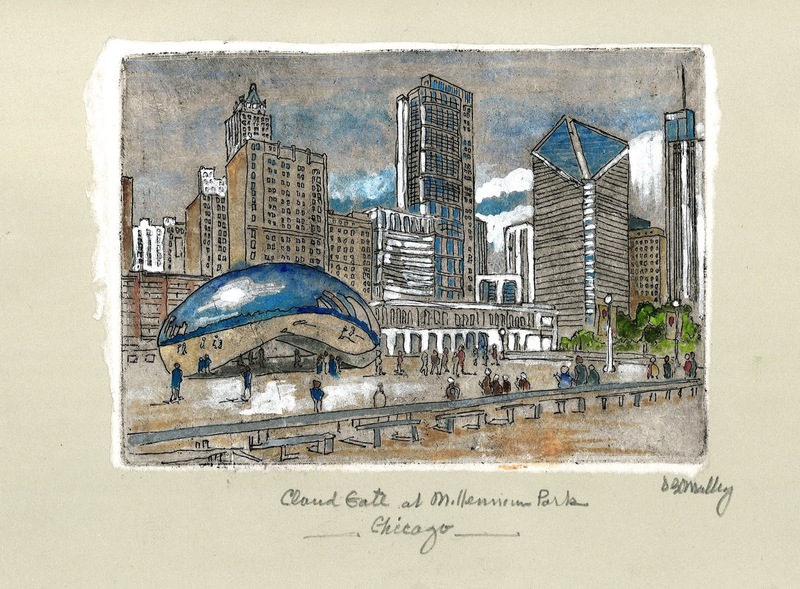 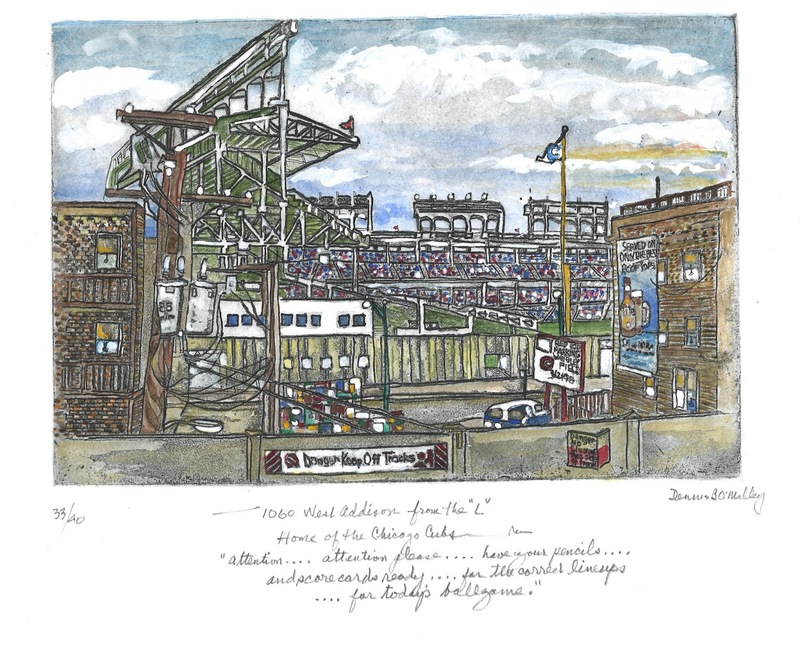 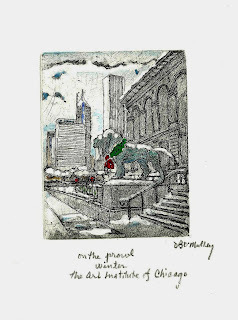 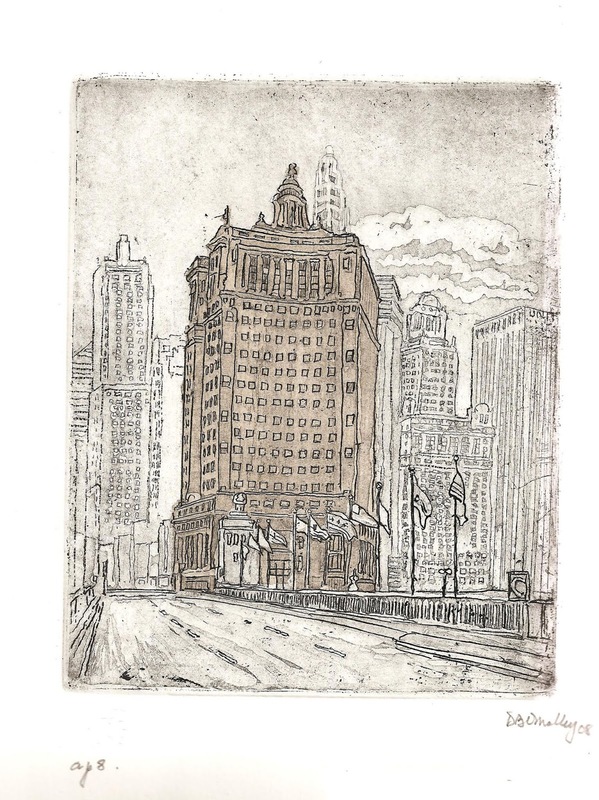 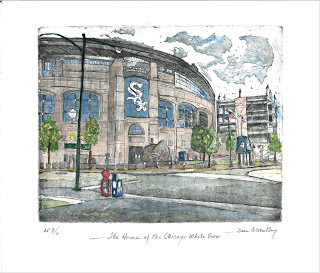 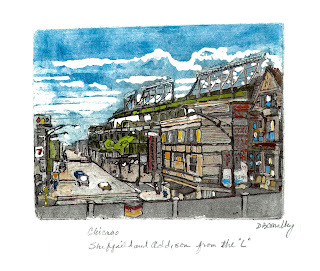 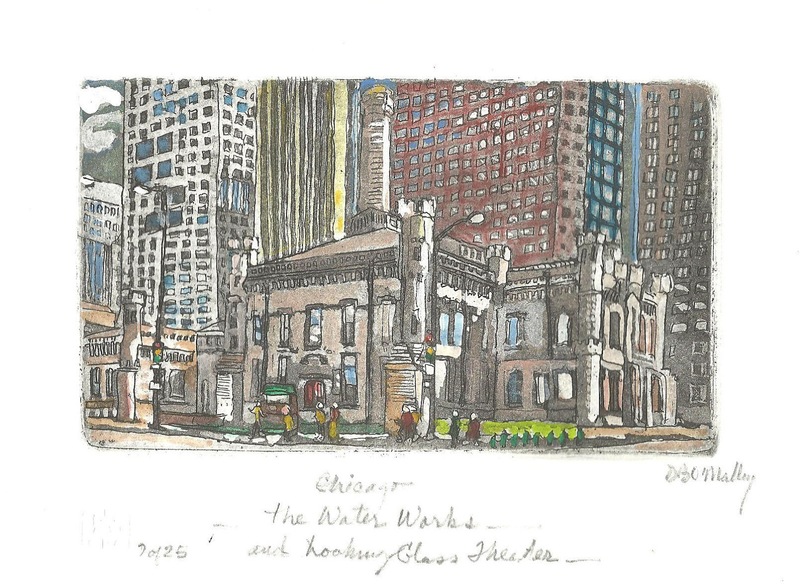 I have 5 Chicago Etchings in the exhibit. 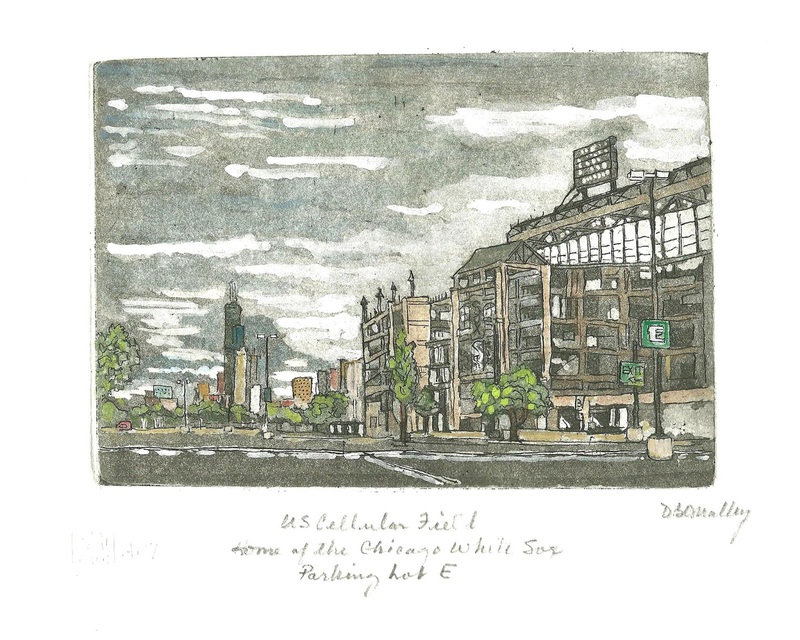 Free parking on North side of BAC. Enter from East side.